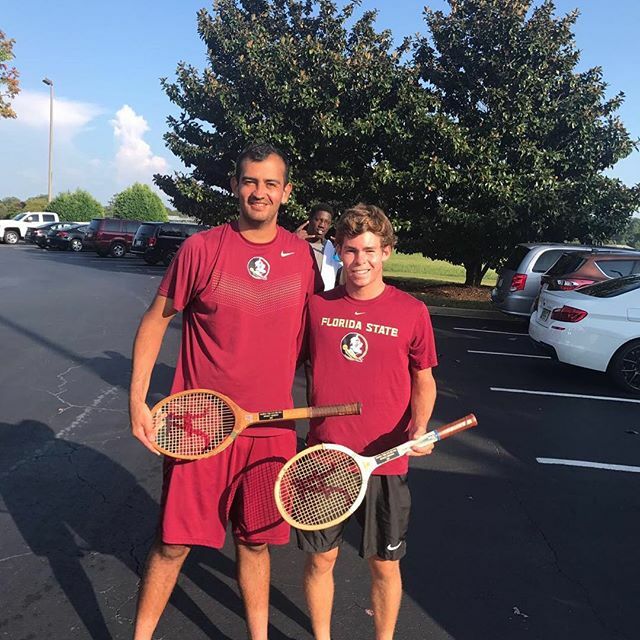 TALLAHASSEE, Fla. – The Florida State men’s Tennis team had an impressive fall showing as they garnered a combined .577 singles winning percentage and a .636 doubles winning percentage, and three championships. The Seminoles finished the fall with three singles players ranked in the Top-60 and one doubles pair in the Top-10. The Garnet and Gold had six student-athletes with a winning record led by senior and No. 22 ranked Guy Iradukunda, sophomore and No. 59 ranked Alex Knaff and freshman Chase Wood who all ended the fall season with seven singles wins. “I thought we had an outstanding fall with good results in national events as can be seen by the end of fall rankings,” said head coach Dwayne Hultquist. Iradukunda had a stellar fall as he finished ranked No. 22 with a 7-4 singles record and two wins over ranked opponents. He gathered his first ranked win in a 6-3, 2-6, 6-2 win over No. 40 Johannes Schretter of Baylor and his second in a 1-6, 6-3, 7-5 win over No. 21 Wayne Mongomery of Georgia. Iradukunda qualified for the ITA Fall Championships, where he won two matches. Redshirt senior Lucas Poullain finished the fall with a 5-3 record and ranked No. 24 in the final ITA fall rankings. Poullain took down three ranked opponents including wins over No. 48 Robert Kelly of North Carolina, No. 80 Dan Little of Utah and a win over No. 11 Brandon Holt of USC at the ITA Fall Championships. In doubles, Poullain teamed up with senior Jose Gracia and earned a 4-2 record including an ITA All-American doubles consolation championship and a trip to the round of 16 at the ITA Fall Championships. Knaff showed improvement in the fall finishing with a 7-4 singles record. He defeated one ranked opponent, No. 88 McClain Kessler of Florida, and finished the fall with his first career ranking of No. 59 in the final ITA fall rankings. Knaff joined Iradukunda and Poullian in the singles competition at the ITA Fall Championships, making it to the round of 32. Wood had an impressive start to his collegiate career posting a 7-4 singles record and a 5-2 doubles record, including both a doubles and singles championship. 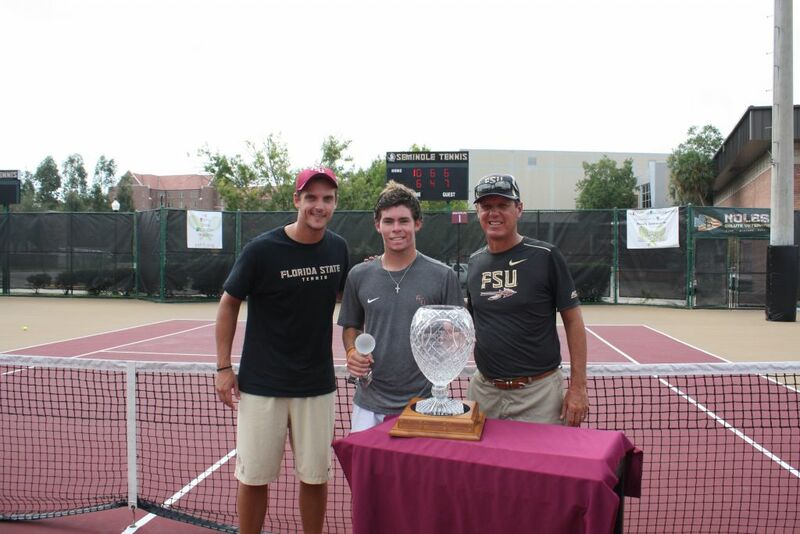 Wood won the Bedford Cup singles competition, becoming just the third Seminole to do so, he also won the Crimson Tide Four-In-The-Fall doubles bracket with partner Jose Gracia. Gracia showed why he and partner Lucas Poullain were ranked No. 15 in doubles to start the fall. The pair went 4-2 and beat two ranked opponents, No. 20 Spencer Papa and Jake van Emburgh of Oklahoma and No. 29 Christopher Kougouch and Parker Wynn of Louisville to rise to No. 8 in the country. The duo won the consolation bracket of the ITA All-American Championship, earning them a spot in the ITA Fall championships where they made it to the round of 16. The duo finished the fall ranked as the eighth best doubles pair in the country. Sophomore Rana-Roop Singh Buhllar finished the fall with a 5-4 record and a show of grit in the ITA All-American pre-qualifying. He won four matches in two days to advance to the qualifying round. Seniors Terrance and Terrell Whitehurst teamed up for a 3-3 doubles record throughout the fall. Terrell went 6-4 in singles, with an appearance in the round of 16 of the Southeast regional. Terrance went 3-3 with two of his wins in Crimson Tide Four-In-The-Fall. All eight of the Noles will take the court at the Tallahassee Futures event held at the FSU indoor tennis courts beginning on December 2.